Bloon Toys puts the fun back in playing with toys with their handmade, all natural toy such as zen blocks, slingshots, and curvy boards. Bye bye iPads! Bloon Toys is for parents (or older siblings) looking to get their child (or younger sibling) toys to play with that is not an iPad, television or phone! 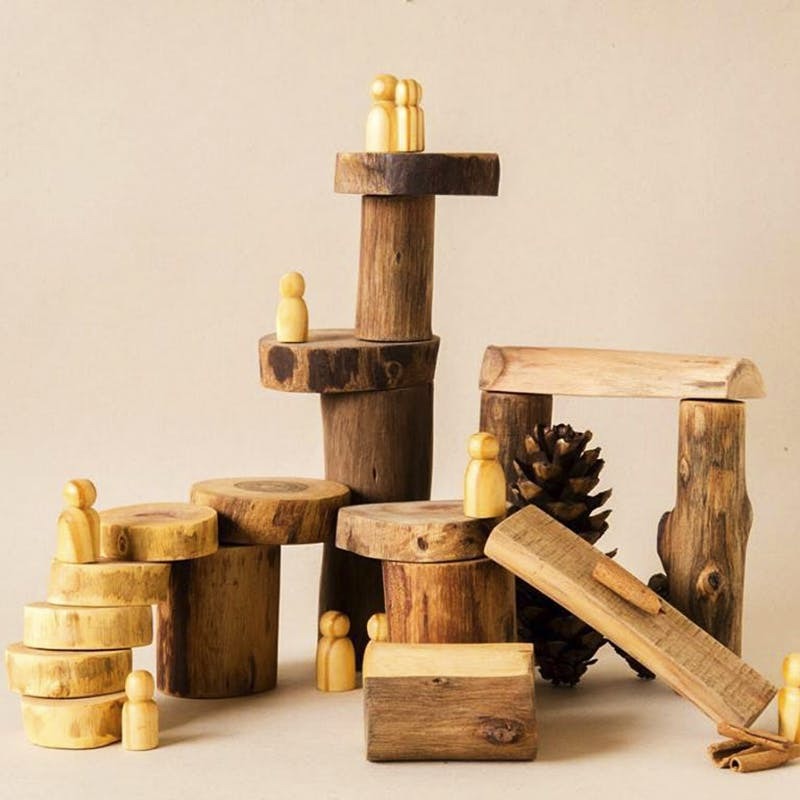 They are handmade, natural, and beautifully crafted to ensure the mind is as engaged and the body during playtime. We are particularly sold on the zen blocks, which is based on the concept of tumi ishi, where you need to balance wooden blocks of varying sizes. We can totally see ourselves spending hours on those trying to balance the 15 pinewood blocks. Great for hyperactive kids, we say! Another product that you can consider is the modelling beeswax where unlike regular clay, this is made from 100 per cent beeswax. It's reusable and your kids can go completely mad with their imagination and make things of all kind. Oh, we forgot to mention the curvy board. It's nothing but a piece curved wooden board that's designed to help the young ones with balance and coordination. What they do with it is completely up to them -- a surfer riding the waves to a skateboarder -- the choices are limitless. Currently, their toy range is limited to only a few products, so do go expecting to find enough toys to fill the playroom. They ship Pan-India and there's cash on delivery option too.